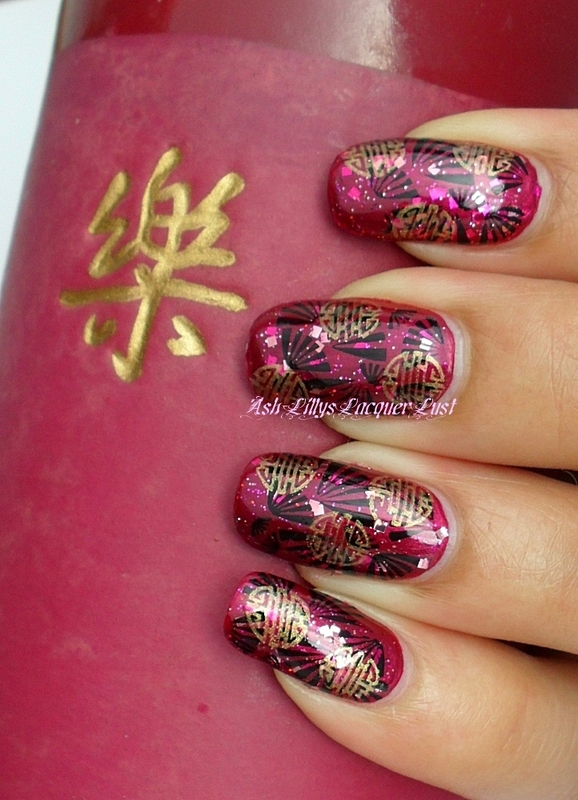 Ash-Lilly's Lacquer Lust: East Asian inspired mani! Sooo... this is what I'm wearing today. 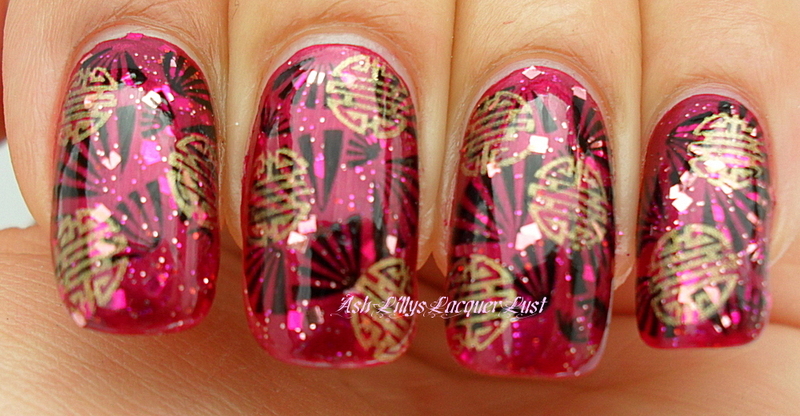 I thought I'd better make up for my lack of posts by doing something a little intricate. Color Club 'Resort to Red', Essence Nail Art Twins 'Carrie', MUA Shade 2, Models Own (yeah, I know it's a mess!) 'Gold Digger', Seche Vite Dry Fast Top Coat. I'm actually going to wear this until it starts to chip on me. Ooooo! That is awesome! It looks like it is made of velvet. I don't know what its called but I used to have a necklace with that symbol on it, I believe it meant harmony? 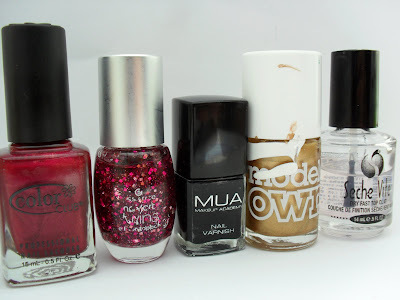 Lave the mani! 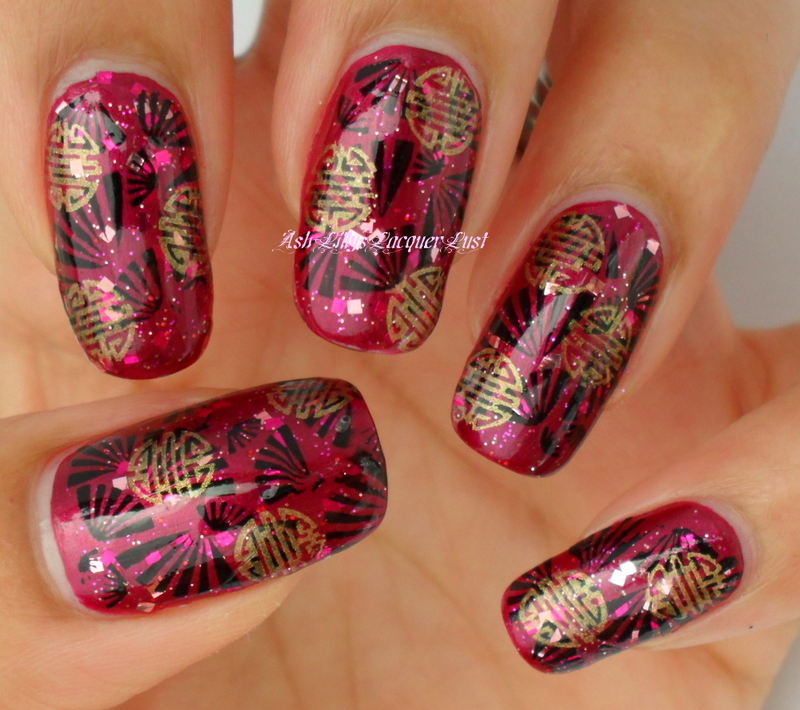 That is a truly stunning manicure-WOW! Fantastic combinations! As for that symbol, it's just a pattern that is on a lot of chinese furniture (most of the time I see them in movies of rich people's houses) but I'm sure it has a meaning, I just don't know. Hi! 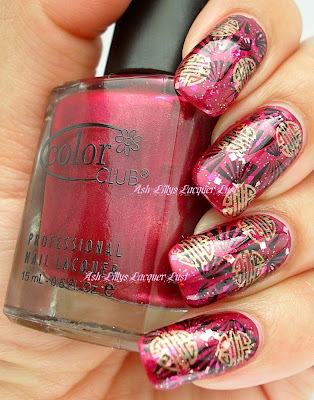 Love your manis! You have an award on my blog! that "Carrie" adds to this!